Undergirding all of the promising services that figure to play prominently in tomorrow’s more sustainable, “smart” cities—new economic and governance models, improvements in personal health and public safety, advanced capabilities for traffic, waste and water management, etc.—will be foundational information and communications technologies (ICT) and networking capabilities that are rapidly emerging around the world today. And undergirding augmented reality, cloud computing, e-health, the Internet of Things (IoT), smart grid and other innovative capabilities are foundational technology standards. Such standards are being created and refined through globally open collaboration across traditional geographic, industrial and technological boundaries. How is standards innovation helping bring about the quality-of-life and sustainability advances that are envisioned for the world’s city dwellers? Open standards are instrumental to ongoing innovation and global market growth in the areas of technology development that figure to have long-term impact on tomorrow’s sustainable cities. Standards are creating a foundation of interoperability, upon which next-generation technologies and capabilities can be cost-effectively and seamlessly layered in the decades to come. It was this thinking that led to launch of the globally open development effort to create IEEE P2413™, Draft IEEE Standard for an Architectural Framework for the Internet of Things (IoT). The standard-development project was initiated in light of insights gleaned from cross-discipline workshops and roundtables that the IEEE Standards Association (IEEE-SA) gathered among global IoT leaders. IEEE P2413 (http://standards.ieee.org/develop/project/2413.html) is in development to propose an architectural framework supporting cross-domain interaction, system interoperability and functional compatibility and to fuel the growth of the IoT market. The standard is being designed, when completed, to offer a reference model defining relationships among various IoT verticals such as transportation and healthcare (the same verticals that are being transformed in the world’s transition to smart cities) and their common architecture elements. The IEEE-SA is known for taking a system-of-systems perspective in standardization.IEEE 2030®, IEEE Guide for Smart Grid Interoperability of Energy Technology and Information Technology Operation with the Electric Power System (EPS), End-Use Applications, and Loads, is another example of the type of overarching effort that is being undertaken in development of IEEE P2413. The IEEE 2030 development effort integrated wide-ranging expertise from the world’s power and energy and information technology and communications spaces. Such coordination and scope are required in development of foundational standards for environments such as the IoT and smart cities, in which new technologies and legacy must interplay in enabling fundamentally new capabilities and applications. Many of the standards that tomorrow’s sustainable cities will require already exist today, of course. Beyond IEEE P2413 and IEEE 2030, the IEEE-SA’s portfolio of standards and standards in development already include many of prime relevance to this space, such as IEEE 802.3™ “Standard for Ethernet” and IEEE 802.11™, which enables products that are often branded as “Wi-Fi®” in the market. But additional standards development will be required in far-ranging areas including augmented reality, cloud computing, e-health, the IoT and the smart grid. It won’t happen magically. The challenges of bringing about globally relevant standards for tomorrow’s smart cities are substantial, including enabling seamless technology and application integration; taking into proper account varying regional, governmental and regulatory priorities, and fueling customer confidence. Global, open standards development rooted in inclusivity and due process provides the balanced, multi-stakeholder environment for working together to forge solutions and advance innovation for tomorrow’s smart cities. The IEEE standards-development process is noted for such characteristics and adheres to the standardization principles stated by the World Trade Organization, including openness, consensus, balance, right of appeal and due process. Thousands and thousands of individuals—from startups and well-established companies around the world, companies that in many cases are competitors of one another—have contributed in the open development of IEEE standards. IEEE provides a proven, democratic platform for globally open collaboration for the benefit of humanity—and not only in creation of standards but throughout the whole lifecycle of technology innovation. IEEE is the world’s largest professional association dedicated to advancing technological innovation and excellence for the benefit of humanity, with about half a million members in over 160 countries. IEEE annually hosts more than 1,400 conferences across multiple technology disciplines, and IEEE Xplore is home to over 4 million technical documents that are of reference to engineers worldwide. Technologists around the world tap into unmatched access to cross-disciplinary expertise through IEEE. The IEEE Future Directions Committee is focused on new and emerging technologies and world challenges specifically and coordinate resources across IEEE technical expertise around the world. Initiatives have been created around key, rapidly developing areas of innovation, including Big Data, Cybersecurity, Green ICT, Rebooting Computing, Smart Cities, Software Defined Networks and Smart Materials. 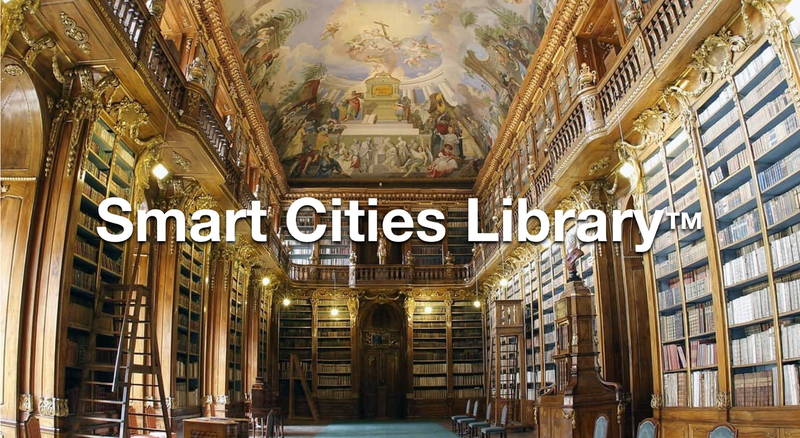 IEEE Smart Cities (http://smartcities.ieee.org), for example, was launched to provide a global, multi-discipline forum through which the world’s cities can share their unique lessons learned and best practices as they undertake technological and behavioral innovation across diverse areas such as energy, food and water, public health and safety, communications, etc. IEEE technologists are dedicated to advancing technological innovation and excellence for the benefit of humanity, and they cover augmented reality, cloud computing, e-health, the IoT, smart grid and other technology areas that will have a role in tomorrow’s smart cities. But IEEE isn’t just helping facilitate development of standards and technology for smart cities and then getting out. Through standardization and other globally open collaborative activities, IEEE is staying engaged with stakeholders of diverse technology areas, geographic markets and sizes globally as cities evolve over the long term to achieve sustainability and advances in quality of life for their inhabitants.